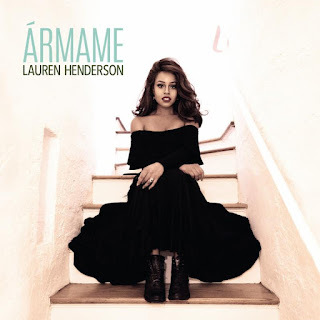 JAZZ CHILL : Lauren Henderson Comes Into Her Own As Both Vocalist & Composer On "Ármame"
Lauren Henderson Comes Into Her Own As Both Vocalist & Composer On "Ármame"
Her first album, Lauren Henderson (2011), which featured Fortner, included funky treatments of "Skylark" and "Born to Be Blue" among more traditionally rendered standards. DownBeat touted Henderson as "an inviting singer whose low-level dynamic draws the listener in." JazzTimes compared her to Peggy Lee, saying she appreciates "how to swing hard without swinging too hard."